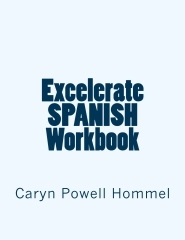 Need Help Finding a Homeschool Spanish Curriculum? I spent a weekend at the Southeast Homeschool Expo in Atlanta this past summer, and it wasn’t long before I noticed that the number of curriculum choices for Spanish is, in a word, puzzling. How is a homeschool mom to narrow down her search? Among the hundreds of exhibitors at the Expo, there were representatives of Discover Spanish, La Clase Divertida, Homeschool Spanish Academy, Risas y Sonrisas, and Rosetta Stone, plus our own Excelerate SPANISH. Rosetta had a huge showing with distributors like My Father’s World, Rainbow Resources, and Sonlight. Add options provided by A Beka, Alpha Omega, BJU, and Classical Conversations, and our “homeschool Spanish” cup runneth over. To add to the confusion, most companies claim that their way of teaching the language is “natural” and “the way you learned English as a child,” yet they’re all a bit different. So who’s to know for sure? 1. Does the program emphasize (or worse, force) production early on? In other words, are students pressured to speak? If so, this aspect of the curriculum does NOT resemble natural language acquisition and differs from how you learned as a child. And forcing production is almost guaranteed to cause stress! Spanish lessons shouldn’t make you feel like this! 2. To what extent does the program make use of the five senses? Does the sense of touch, or the “bodily/kinesthetic intelligence” take a back seat to the visual/spatial and auditory/musical intelligences? If so, chances are good that your students will learn in a way that’s more passive than active. They’ll be observers, not participants. 3. 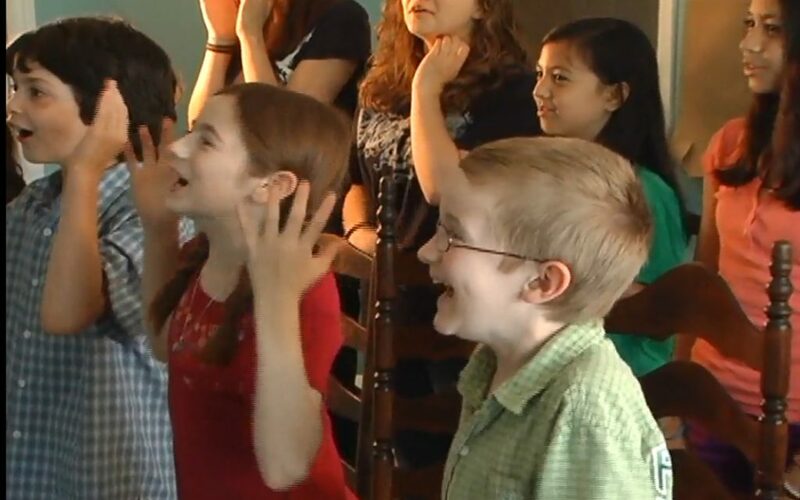 Do realistic scenarios in the program elicit students’ emotional responses? As a child learning your first language, your responses to your environment were far from academic. When you were nurtured by caregivers, you felt safe and comforted. When your needs went unmet (even for a moment! ), you cried. When you saw or heard something amusing or felt pleased or got tickled, you laughed. These responses were commonplace in your experience. The norm, not the exception. What about the program you are considering? How will it touch your student(s) emotionally? “What we learn with pleasure, we never forget.” (Alfred Mercier) Will the material be memorable, or forgettable? 4. How often does the program capitalize on the power of storytelling? Stories helped the young you to learn much more than just English vocabulary, grammar, syntax, and style. They also conveyed concepts and ideas and passions! Stories invited your emotional response, and in turn, they became part of you… along with the language that communicated them. Will the program you use tap into this incredible, creative resource? 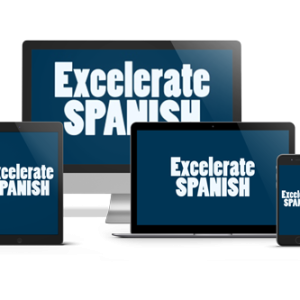 I welcome everyone to test the Excelerate SPANISH program on each of these essential points. Excelerate is different because it was designed by a homeschool mom for homeschoolers. It’s not immersion (immersion can frustrate students), but it is content-rich. The focus is on proficiency, which means real-world value and excellence, and lower stress. You can read more about Excelerate on the Raising Real Men blog and see reviews on Amazon. In addition, you’ll find that Excelerate SPANISH is mentioned positively in two separate articles in the 2014 Print Edition of The Old Schoolhouse Magazine! Please comment with your thoughts, questions, and feedback. Inquiring minds want to know!